The meeting couldn’t have gone any better. 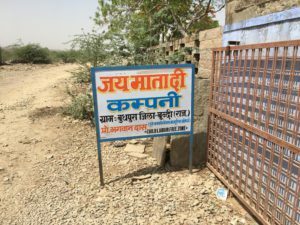 The cobble traders union, now comprising of 30 yards, gave a commitment to the CLFZ team that no child labour would be used in their yards anymore. Unbelievably good news that we all celebrated but at this point it was only words. There was a big question mark in my mind of whether or not they would come through and deliver, especially bearing in mind that this was their livelihood and this was also India, the place where people nodded and said yes to you at the same time as shaking their heads (The social context of this bizarre Indian tradition has now been explained to me and it’s actually very logical but that’s a story for another day). The fact is though, the cobble traders have delivered. The more I have learnt about this union, the more I’ve come to understand that they are as committed to this project as any of the other stakeholders involved. Although cobble traders are, by local standards, very wealthy, they are still local people who have grown up in the community along with their families. As much as anybody else they don’t want to see their own community go to the dogs, something that 3-4 years back was a very likely possibility. Going back 3-4 years, child labour in Budhpura was rife and community institutions were simply not present, the whole place was heading for an imminent disaster, like a failed state. A state of affairs not acceptable to western governments, never mind corporate brands, and their customers. The protection of citizens is something we take very seriously in the West. The UN guiding principles on human rights, the new modern slavery bill. Westerns democracies are actively implementing new legislation to protect their citizens. If things hadn’t improved in Budhpura the point would have come when Western societies would have had to say; enough is enough and simply put an end to importing products from places like Budhpura. Despite the fact that turning our back on the problem can make things worse, there is little morale justification in continuing to prop these types of places up. This was the overriding message delivered by Bram Callewier of Belgian stone importers Beltrami and Stoneasy to the cobble traders union. If the cobble traders union didn’t make changes to their industry, then change may well be forced on them in the form of western consumers turning their backs and buying stone products from elsewhere. The whole show could be shut down. So where are we now 2 years on? 2 years on and we’re sitting in the Manjari (the NGO on the ground, driving their project in Budhpura) community centre with the CLFZ project team and the head of the cobble traders union (who is also the local equivalent of the mayor), feeling inspired and even slightly emotional as we hear how the cobble traders union are delivering on their own commitment to ban any form of child labour in their yards. 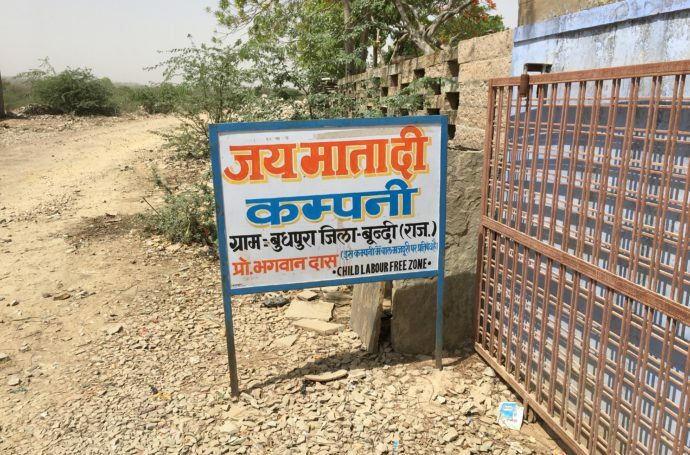 Every cobble yard in Budhpura now proudly displays a large entrance sign, in both Hindi & English, stating that this yard is a child labour free zone. A symbolic statement maybe but a statement all the less. Far more than this though, it sends out a message to everyone that children should not be working in this yard and where a rule exists, so does a mechanism of ensuring the rules are followed. 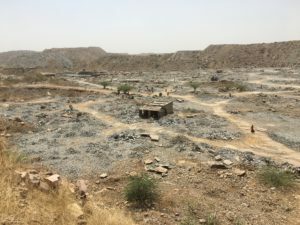 Local people are encouraged to report any signs of child labour in the CLFZ cobble yards and a fining system is in place for any yard that is found to employ children. A local compliance officer has also been employed to visit the cobble yards. This permanent presence is both a deterrent and a reminder of the commitment made by the cobble traders union. There are drawbacks though and nobody is suggesting that the job is done. One drawback is that children are still engaged in homework. While no one is suggesting that work, albeit carried out at home, is acceptable, it’s a lot more palatable than children spending the entire day in a full scale yard environment. 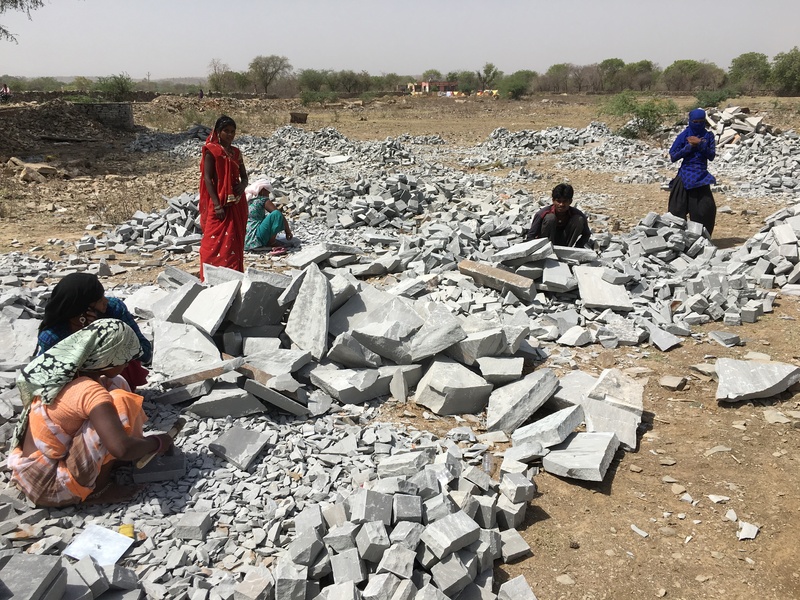 It’s also worth clarifying there is a big difference between a child slogging all day in a fully working cobble yard (child labour) and a child spending a few hours at home in the evening working to supplement the family income (child work). Like everything in life, there is a balance to strike and we have to find ways of making this work for everybody as we wean a society off child labour. 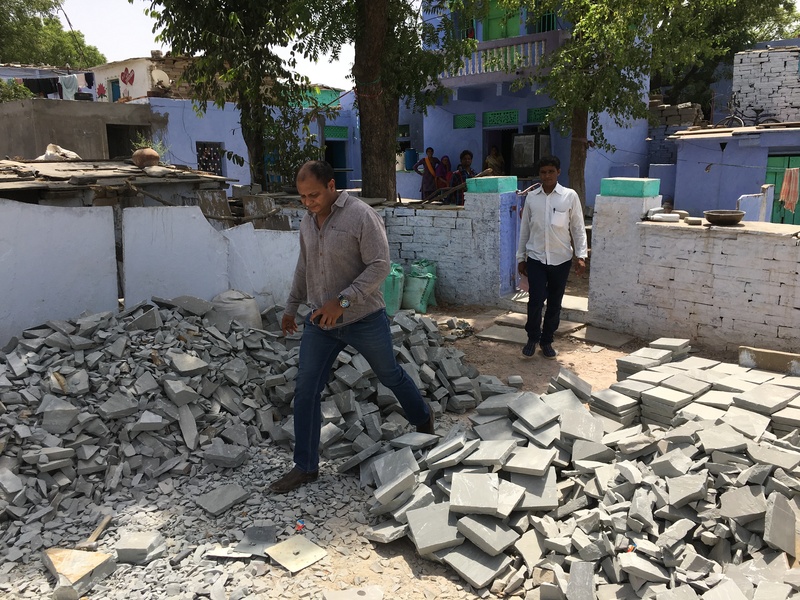 The fact is that every man, woman and child over the age of 5 in Budhpura can turn their hands to making cobbles. It’s not a nice fact but it’s something we need to accept and understand because it’s only through understanding that we can truly gain the wisdom required to support change. The last thing the project wants to do is push child labour into areas where it’s less visible. The compliance officer employed to monitor child labour in the cobble yards is also closely monitoring the cobbles getting produced at home to make sure child labour is not taking place in the home. To reiterate the point, there is a big difference between a child making some cobbles at home in the evening to supplement the family income and a child who spends all day in the home environment making cobbles. The former is an acceptable level of child work, while the latter is just another form of child labour and clearly unacceptable. The compliance office has a keen eye to the difference between child labour and child work and will report any issues of child labour in the home to the cobble traders union. 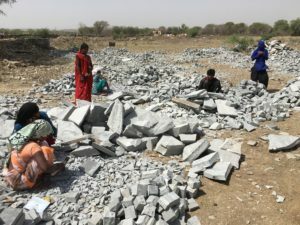 To prevent child labour taking place in the home environment, the cobble traders union have made a commitment to not purchase any cobbles made at home using child labour. The self-policing is evident and all points to the community taking care of what is a community problem. This is what the project has always been about. Empowering people to stand up and take ownership of their own community. We’ve seen criticism from some quarters that the project is nothing more than a charity project. This couldn’t be further from the truth. Strong institutions are springing up in Budhpura, like the cobble traders union, and it’s these institutions that will continue to fight the battle against child labour long after we have gone.